RoDVD is a Romanian Private Tracker for DVD-R / HD MOVIES. A good part of the releases in RoDVD are DVD5/DVD9 movies which come complete with original DVD menus, subtitles and other extras. But since it's a Romanian tracker, you can find Romanian subtitles almost at every release. The language tag on torrent title usually specifies language of subtitles available on the release ("RoSUB" for Romanian subtitles, for example). This is a real plus for all Romanian users. But if you're not, subtitles could always be disabled. 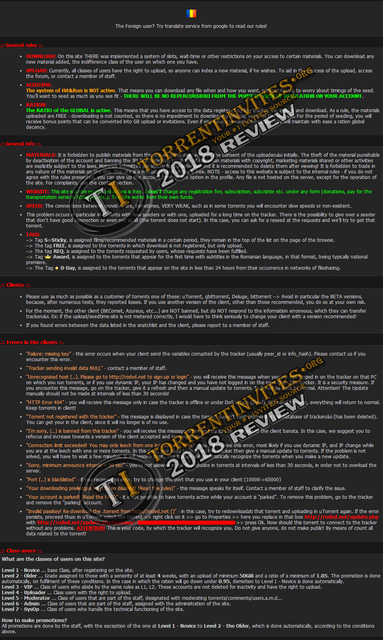 RoDVD has almost 10,500 torrents for now and the biggest plus of this site is an absolute freeleech. Moreover, they don't have a H&R rule at all. But that is the reason of a pretty good amount of dead torrents unfortunately and this is the biggest minus of RoDVD in my opinion. Another sad thing is community. Their forum seems to be dead as well as shoutbox. Despite the freeleech system, there's a bonus system on the site. You can exchange your seeding bonus point for GBs. 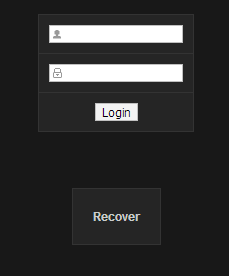 The site has a pretty unique interface based on TBDEV core. It's easy to navigate and there's almost no need to use your autotranslation browser-mode at all. With all of minuses, this site is great for all DVD-lovers (especially for classic cinema lovers) and absolutely advised to join. TheTrader, sedna, The Night and 6 others like this.